Researchers have clarified the results of a much-cited 2009 study that purports to link abortion and lingering crazylady aftereffects of the procedure. And by "clarified," I mean "debunked." The study's hogwash, from top to bottom. And it seems that researchers originally presented deliberately misleading findings in order to support an anti-choice argument. What's the scientific equivalent of "Uh oh, Spaghetti O?" The original study published by the Journal of Psychiatric Research was called "Induced abortion and anxiety, mood, and substance abuse disorders: Isolating the effects of abortion in the national comorbidity survey." It found that voluntary termination of pregnancy was linked to all sorts of icky things like panic disorder, bipolar disorder, PTSD, and substance abuse. Not only did they find that abortion and mental health problems were linked, they found that there was an overwhelming prevalence of post-abortion problems; in many cases, they claimed, having an abortion caused a woman's risk for mental illness to increase more than 100%. 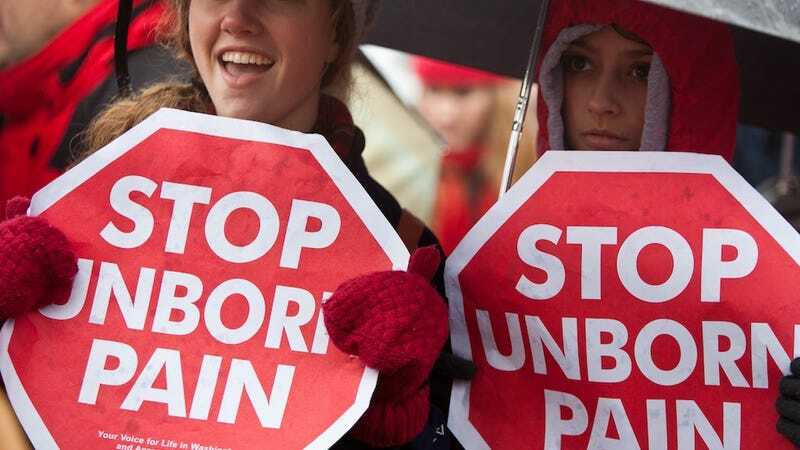 Anti-abortion groups crowed at the news, urging the American Psychiatric Assocation to formally recognize the link between deliberately not carrying an unwanted pregnancy to term and a lifetime of mental anguish. But now, the Journal has printed a critique of the 2008 research that says the original findings are completely bogus. Julia Steinberg of the University of California-San Francisco working for The Guttmacher Institute says that not only was she unable to replicate the findings of the This Is Your Ladybrain On Abortions study, the original study itself was forged out of lies and incorrect analysis, actually reaching conclusions that were contrary to what the data showed. The 2009 study's main screw up? Claiming, essentially, that any woman who had been diagnosed with a mental disorder at any time in her life had been driven to the disorder by her abortion, even if her diagnosis predated her abortion. So the study didn't really "isolate" the effects of abortion at all; it simply falsely attributed any lifetime mental health diagnosis to an already stigmatized procedure. Steinberg writes in her reanalysis of the study that the 2009 paper contains "misleading and erroneous information that serves to confuse the relationship of abortion and mental health even more" and argues that the original analysis was invalid. What's the scientific equivalent of "You just got told?"